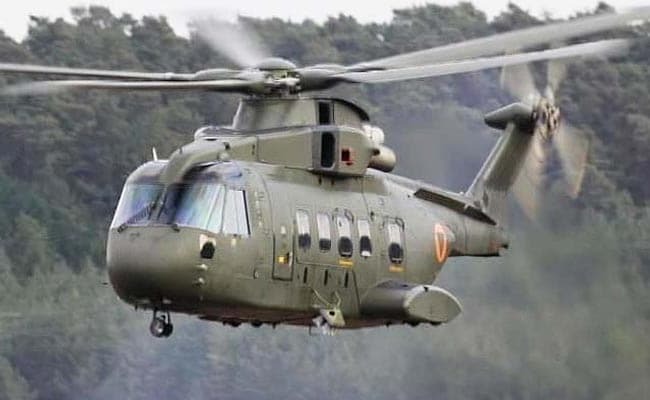 In February 2010, the Congress-led UPA government signed a contract of Rs 3,600 crore with UK-based AgustaWestland to buy 12 AW101 helicopters for the Communication Squadron of Indian Air Force, to carry the president, PM and other VVIPs. Controversy over the contract came to light on 12 February 2013, after Bruno Spagnolin, CEO of AgustaWestland and Guiseppe Orsi, chairman of the Italian parent company Finmeccanica, were arrested on charges of bribing middlemen to acquire the deal with IAF. The following day the than Defence Minister A.K. Antony ordered a probe into the contract. On 25 February 2013, CBI registered a Preliminary Enquiry (PE) against 11 persons, including the former Indian Air Force Chief, Air Chief Marshal S.P. Tyagi, and his cousins, besides four companies. After carrying out the preliminary enquiry, the CBI found sufficient evidence and registered an FIR on 13 March.The FIR named 13 persons including: former Indian Air Force Chief, Air Chief Marshal S.P. Tyagi, his three brothers: Juli, Docsa and Sandeep, brother of former Union minister Santosh Bagrodia, Satish Bagrodia, Pratap Aggarwal (Chairman and Managing Director of IDS Infotech).The FIR also named four companies - Italy-based Finmeccanica, UK-based AgustaWestland and Chandigarh-based IDS Infotech and Aeromatrix. How was Former Air Chief Marshal S.P. Tyagi involved in the scam? ⇒ In August 1999, IAF felt the need for the replacement of Mi-8 VIP helicopters as they were completing their total technical life and also, they were unable to operate safely at night and in places with elevation beyond 2000 meters. ⇒ The Indian Air Force urged the Defence Ministry to purchase helicopters that were capable of flying in high-altitude areas like Siachen and Tiger Hill. The key requirement for the helicopter was how high it could fly. ⇒ Agusta Westland's A-101 failed to make the list after flight evaluation because it was not capable of flying 6,000 m and above and could only reach up to 4,572 feet. ♦ A CBI report says that prior to Tyagi being appointed as Air Force chief, the IAF had ‘’vehemently opposed’’ the lowering of the altitude requirement but After Tyagi took over, the "Air Force conceded to reduce" the height requirement, allowing AgustaWestland to re-enter the bidding process. ♦ Initial investigations by the Italian prosecutor revelaed that Tyagi had personally met Haschke before, and that the bribery took place via Tyagi’s cousins Julie, Sandeep and Dosca. However Tyagi, has denied any claims of having met Haschke. ♦ In recent investigations by the Milan Court of Appeals, particularly in its 225-page judgment, Tyagi’s name appeared more than once. The Italian court order said that payments to Tyagi and his family - including three of his cousins, were made in cash and through wire transfers. In September 2015, a special CBI court issued an open non-bailable warrant (NBW) against Christian Michel a middleman in the deal who is alleged to have been paid over £44 million by Finmeccanica executives to help secure a Rs3,600-crore contract from the Indian government for helicopters. However Christian Michel James denied any wrongdoing by stating that he had never met any "Gandhi" in his life. ⇒ In April 2016, Guiseppe Orsi and Bruno Spagnolin were sentenced to four-and-a-half years and four years imprisonment respectively. The court also ordered the two executives to pay €7.5 million euros ($8.5 million) a sum that is deemed to have been allegedly paid in bribes. ⇒ Indian government has recovered a total amount of Rs. 2068 crore and has recovered the entire amount of around Rs 1620 (45% of total contract value ₹3600 crore) it had paid to AgustaWestland. For which of the following film/s Mithun Chakraborty has won National Film Award for Best Actor?